Joining the ranks of films that endeavor to solve the mystery of JFK's murder will be a new movie from Leonardo DiCaprio. DiCaprio will star in and produce "Legacy of Secrecy," reported Variety. The movie will be based on Lamar Waldron's and Thom Hartmann's book, "Legacy of Secrecy: The Long Shadow of the JFK Assassination," which is loaded with declassified FBI files. The actor plans to play Jack Van Laningham, an FBI stoolie who claimed that mafioso Carlos Marcello told him that he was the one who ordered the hit on the president. 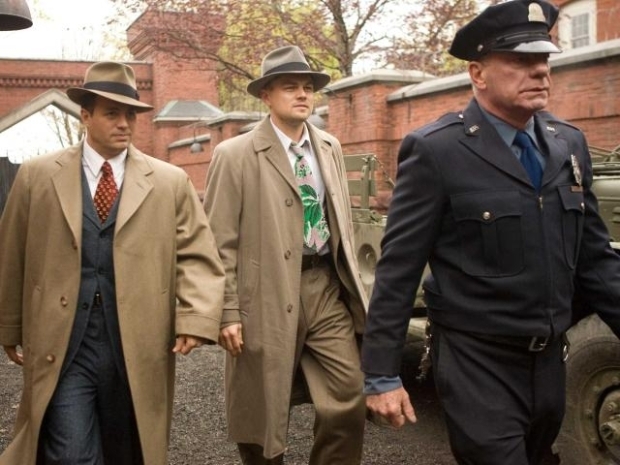 The latest Leonardo DiCaprio-Martin Scorsese collaboration is based on the novel by Dennis Lehane about a cop sent to find an inmate who's mysteriously disappeared from an asylum. John F. Kennedy's assassination launched a frantic search to find his killers. It also launched a flurry of covert actions by Lyndon Johnson, Robert F. Kennedy, and other top officials to hide the fact that in November 1963 the United States was on the brink of invading Cuba, as part of a JFK-authorized coup. The coup plan's exposure could have led to a nuclear confrontation with Russia, but the cover-up prevented a full investigation into Kennedy's assassination, a legacy of secrecy that would impact American politics and foreign policy for the next 45 years. It also allowed two men who confessed their roles in JFK's murder to be involved in the assassination of Dr. Martin Luther King, in 1968. Exclusive interviews and newly declassified files from the National Archives document in chilling detail how three mob bosses were able to prevent the truth from coming to light – until now. Warner Bros. hopes to have "Legacy of Secrecy" ready for 2013, the 50th anniversary of Kennedy's death. Will somebody please get serious about JFK assassination films and just make a film version of James Elroy's "American Tabloid"?